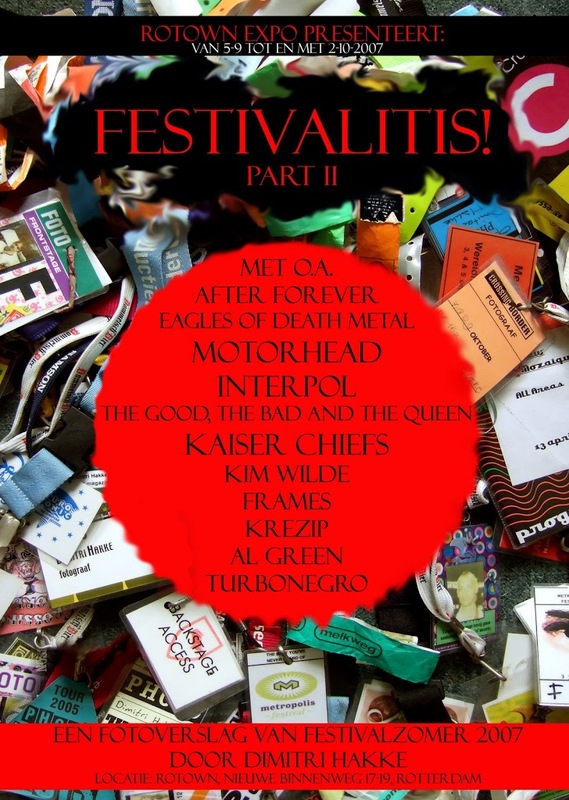 Festivalitis! 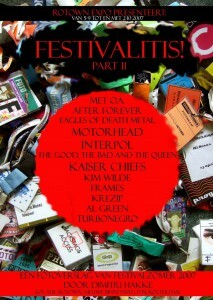 Part II oftewel Festivalitis!, the sequel. "It's over those beautiful summer weather. That summer, which began in May about ", Gerard Cox already sang in the distant past. And it's true. Maybe not in terms of weather, yet musical. We look back with photos of the best, most notable acts or. Starting with the Liberation and then via Parkpop, Metropolis, North Sea Jazz, op naar Lowlands. Dimitri Hakke, photographer / reporter for o.ä. Live-XS, Fret, Rotterdam Festivals, Redferns Music Library, Rockachive and Lowlands Dagkrant, is sinds 1994 active as a music photographer. His portfolio includes images of Franz Ferdinand, Frans Bauer, White Stripes, Madonna, The Who, Rolling Stones, Oasis, Jon Spencer en Peaches. Expo’s in Parijs, Amsterdam, Rotterdam Central Library, and of course his work hangs in the permanent photo wall in Rotown.